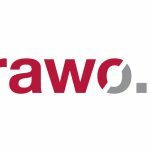 Nowa Publikacja: Ethics, Compliance & Integrity! 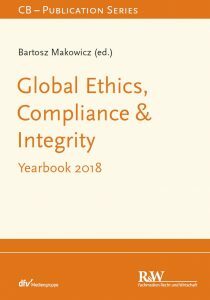 This yearbook is the first in the series of annual publications designed to provide the worldwide experts community with the latest developments in Ethics, Compliance & Integrity in different kind of organizations (corporations, associations, small and medium size companies, public organizations and others). It focuses on both different countries around the world and the global perspective. This first edition contains over 40 individual contributions by professionals representing different disciplines, coming from various countries and international organizations. It is divided into several thematic chapters, among them cross-border and cross-cultural compliance & ethics management, cross-border anti-bribery systems, global standardization and intercultural communication, whistleblowing and internal investigations as well as international trade compliance. The yearbook takes a comprehensive and multidisciplinary overview of current challenges and trends in the development of organizational Ethics, Compliance & Integrity and is dedicated to compliance and ethics professionals, consultants, authorities, prosecutors, judges, scientists and any other interested persons.